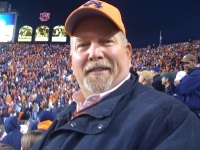 Charley Pope has many years of experience as a general handyman, with projects in both commercial and residential settings. He is a licensed contractor in the state of Alabama. Charley began his career as a carpenter and mason by trade. Recently he received his HVAC license and can service a variety of heating and air conditioning units, for example Split Systems, Hybrid Heat split systems, and Ductless split systems to name a few. Charley was born in Fayettville, AL and currently lives in Chelsea, AL. Charley is also a Freemason, a Shriner and a member of the Scottish Rite.